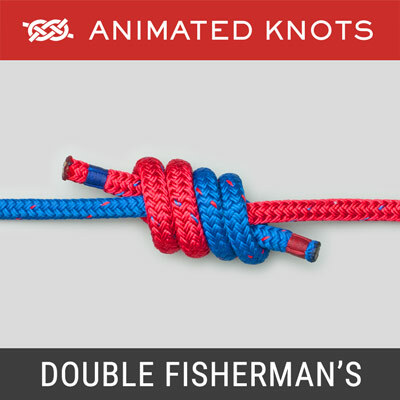 Use the rope to form two identical loops. Overlap them as though tying a Clove Hitch. Then thread each loop through the other loop and tighten. Insert the victim's limbs into the loops, tighten, and apply traction. 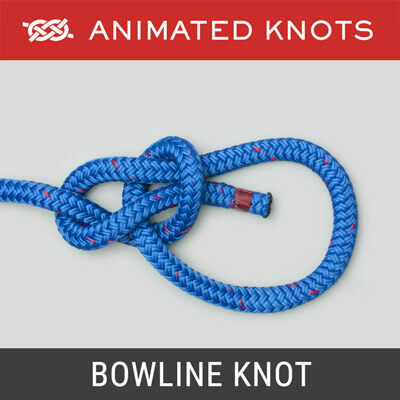 Origin: This knot was described by Ashley (ABOK # 1134, p 206) for use as a handcuff. 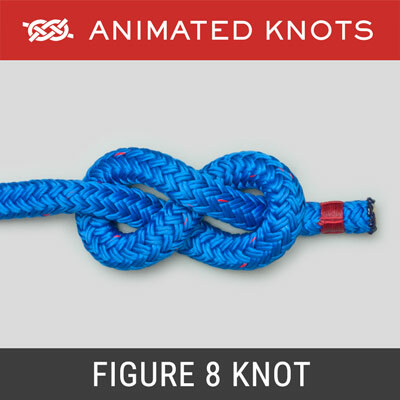 However, the knot possesses minimal locking action and could never live up its name. For added security the two ends can be tied together with one or more Overhand Knots. 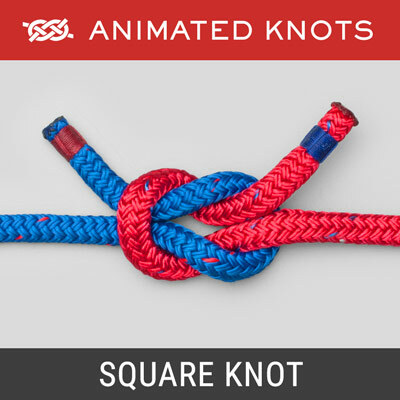 Use: In Search and Rescue Operations, the Handcuff Knot is avoided because of the inherent danger of damage to the victim. However, it is worth considering if there is no other way of rescuing someone trapped, e.g., in a crevice or in a hole below grade. The two loops are placed around the wrists or the ankles. The two ends are then pulled to tighten the loops for traction. It can also be used to restrain an animal or drag an animal carcass. 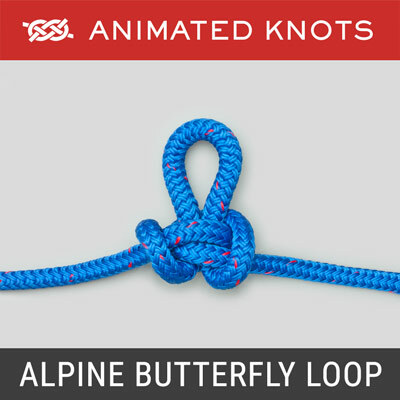 As a Chair: The size of the loops can be fixed by using each end to tie a half hitch around the adjacent loop. The loops can then be placed around the thighs to lift someone in a seated position. If conscious and able, they hold the lifting end; if not, the free tail is wrapped around the torso and tied back to the lifting end. 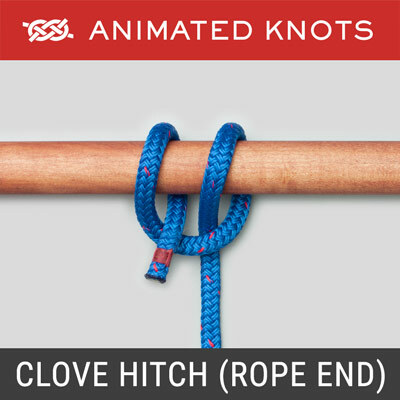 Tying it: As shown in the animation the initial stages are exactly the same as those used when using Loops to tie a Clove Hitch. Caution: This method of applying traction to limbs is potentially traumatic and must be used only when alternative lifting methods cannot be employed.